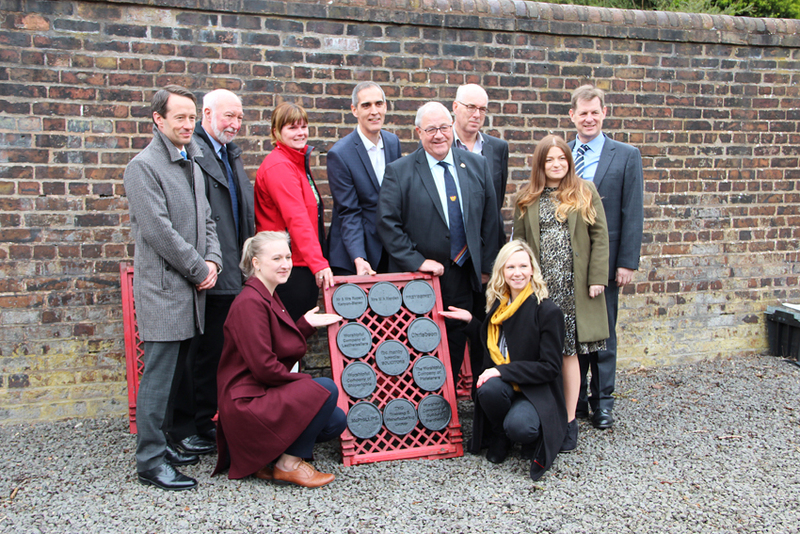 On 03 April we were honoured to attend the inaugural laying of our 1,000 Builders plaque at Coalbrookdale to mark our support of the Ironbridge Gorge Museum fundraising appeal. The Ironbridge Gorge Museum are looking for 1,000 businesses to conserve our industrial heritage and inspire entrepreneurs of the future. Abraham Darby I laid the foundations for the first Industrial Revolution at Coalbrookdale in Shropshire. Almost every company in the world can trace its roots back to the innovation that took place there in 1709. You can help the museum to reach their target of £1million by March 2021, by donating £1,000 which can be split over two years. Your valuable donation will then be doubled by a grant from The National Lottery Heritage Fund, building a much-needed endowment for the future. Your donation will go directly to secure the long-term maintenance and conservation of heritage assets that tell the world changing story of the Birthplace of the first Industrial Revolution; including Abraham Darby I Old Furnace. By getting involved and supporting the fundraising appeal you will help to celebrate the pioneering and world changing achievements of our industrial forefathers.